Races are popular for Earth Day and Atlanta’s Green Dash is a 5K that benefits Piedmont Park Conservancy. The race takes place on April 23 at 8:30am and is part of the 53 More Acres to Love Campaign. Help Boston clean-up on April 29 and 30 with Boston Shines. Volunteers will scour the city, ridding it of garbage and other unsightliness. Thank you, Mayor Menino. Through April 23, Shelby Farms Park will be highlighting the meaning of green with features like the annual green-tie fundraiser, SkyFest kite festival, and Woodland Discovery Playground egg hunt. The Twin Cities 10th Anniversary Living Green Expo affair celebrates the latest in green and sustainable living on May 7-8. At the Minnesota State Fairgrounds, the Expo will showcase more than 300 exhibitors, workshops and demos. Celebrate one lucky couple’s special day with a Green Wedding, enjoy the Eco-Parade, and learn how to save money, time and the Earth. 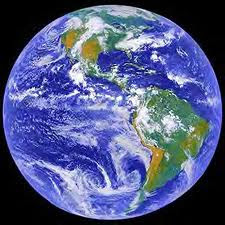 Join the Earth Day party April 22 at the Smithsonian National Zoo from 10am-12Noon. Talk to the Zoo’s Green Team about their environmental achievements and see how sustainability has changed the animal exhibits, food service, water use and even the coffee. Friends of the National Zoo has partnered with an outside company to collect and recycle visitors’ electronics, so bring your old batteries and phones to support conservation. The very first Earth Day used the famous Earthrise photograph taken by Apollo 8 Astronaut Bill Anders. See http://bit.ly/i8ShZV for the story behind this famous photograph.